Brassaï, born Gyula Halász in the town of Brasov, Transylvania, was known for depicting the eclectic nightlife of Paris in the 1930s. Originally intent on becoming painter, he studied at the Academy of Fine Arts in Budapest in 1918 and the Akademische Hochschule in Berlin in 1921 before moving to Paris in 1924. While working as a journalist there, he met André Kertész, who encouraged him to try photography. Realizing that it was not the impersonal, mechanical operation he had assumed it to be, Brassaï embraced it as the most appropriate means for recording his observations of Parisian nightclubs and cafés, where he photographed prostitutes, transvestites, entertainers, and their audiences, as well as lamplighters and street cleaners, among many other subjects. His first book, Paris de Nuit (Paris by Night), was both critically and popularly acclaimed when issued in 1932, and it was followed by The Secret Paris of the 30s (1976), Les Sculptures de Picasso (1948), The Artists of My Life (1982), and others. Brassaï cultivated friendships with artists and writers, and, although he was not a Surrealist, his photographs were popular among the Surrealists, whose journal Le Minotaure published his work frequently. Brassaï was also a sculptor, and by the 1960s his photographic output had declined in favor of this medium. Brassaï's photographs are often considered virtual illustrations of Paris life in the 1920s and 1930s. They do more than simply depict the typical details of the city at that time, however, for they emphasize each element's and each character's unique vulnerability. Handy et al. 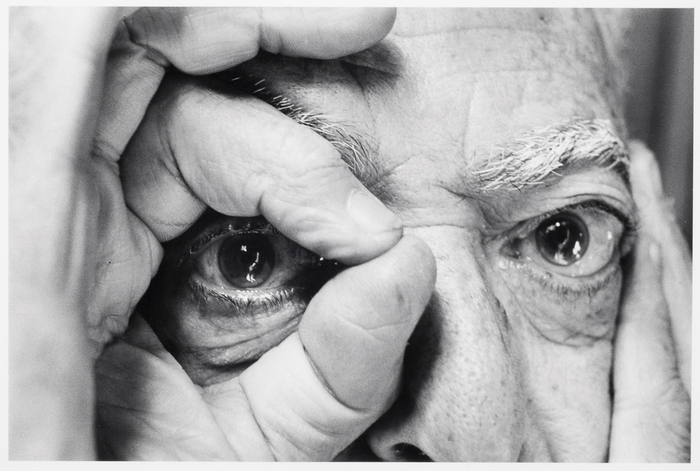 Reflections in a Glass Eye: Works from the International Center of Photography Collection. New York: Bulfinch Press in association with the International Center of Photography, 1999, p. 210.